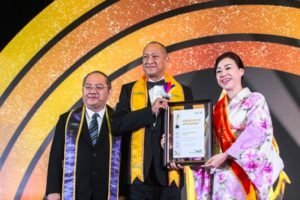 Boost enterprise value with awards; Contribute to revitalizing Asian communities. Highlight advantages of outstanding Asian enterprises, products, people and services and raise their enterprise value through giving them evaluation and awards. Support their successful business expansion into Asian markets. 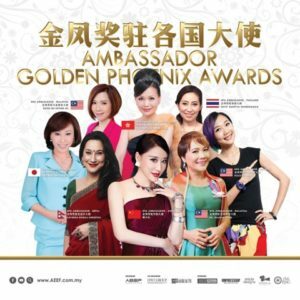 ASIA GOLDEN AWARD inspires confidence in the enterprises, making more of them enter Asian market and contributing to revitalizing Asian economy. 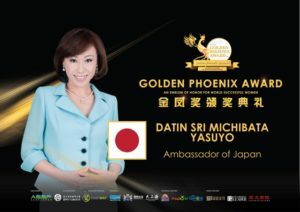 During the 5 years I served to bridge cultural divide between Asia and Japan, I was surprised by the fact that how much overseas consumers are likely to choose award-winning products or products received recognition from a certain independent organization. Although “Made in Japan” evokes an image of reliable high-quality products, the real good points about Japanese products are yet to remain unclear to overseas consumers. Take cosmetics as an example, “Shiseido” is a household brand; however, consumers may not distinguish between inferior brands. And with that, products awarded by assessment organizations in Asia, Europe, USA and so on are considered worthy products and then imported for sale in their market. Japanese customers are capable of distinguishing products made in Japan to some extent; but when it comes to consumers in Asian market, they may end up choosing a product based on its buyer reviews or awards it has received due to the language barrier. 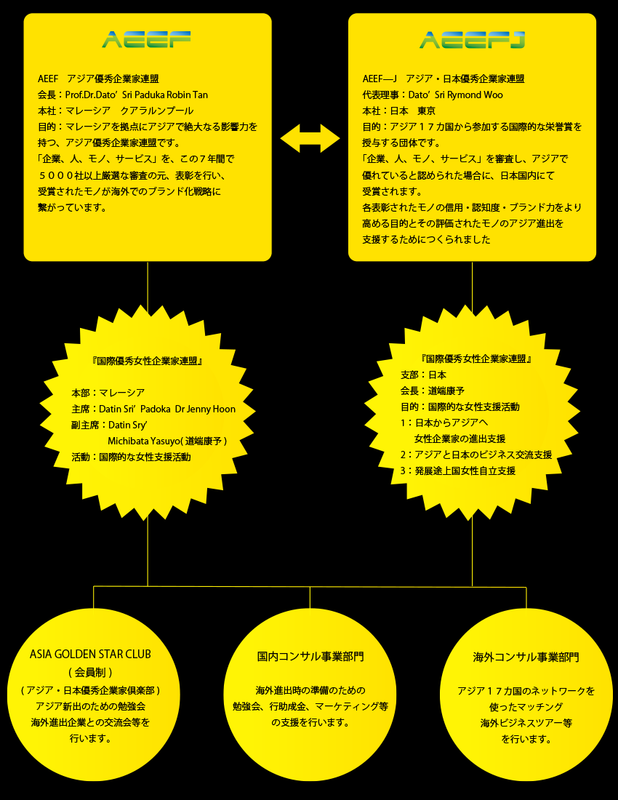 With awareness of the fact, Asia・Japan Excellence Entrepreneur Federation, together with ASIA GOLDEN STAR AWARD were established on June 1st, 2017 for the purpose of supporting business expansion and branding in Asia. 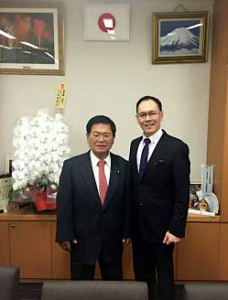 Dato’Sri Raymond Woo was born on July 23rd, 1967, in Ipoh Malaysia. Obtained permanent residency of Japan at 35. 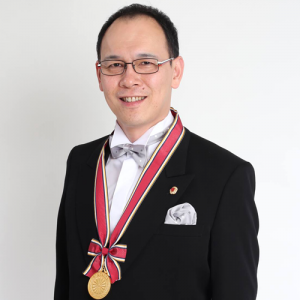 With 30 years of experience living in Japan, Raymond Woo has acquired deep understanding of Japanese etiquette and culture. He is currently devoted to cross-culture communication and assist businesses from their countries to get into Asia market. 2000 Founded INB Co., Ltd.
2012 Established Food Channel Japan Co., Ltd to promote Japanese food culture. 2003 Founded Social Manner Inc. Gave lectures and held seminars on etiquette at companies, hospitals, care institutions and schools. 2010 Opened office in Minato ward, Tokyo. Engaged in branding activities using Facebook. 2012 Published "How to make money using Facebook"
ranking No.1 in 3 categories on Amazon: internet and web development; computer and IT; business and IT.